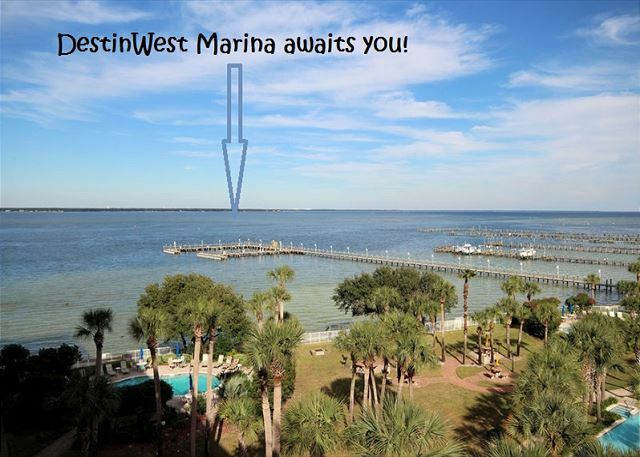 UNOBSTRUCTED BEACH AND BAY VIEW! 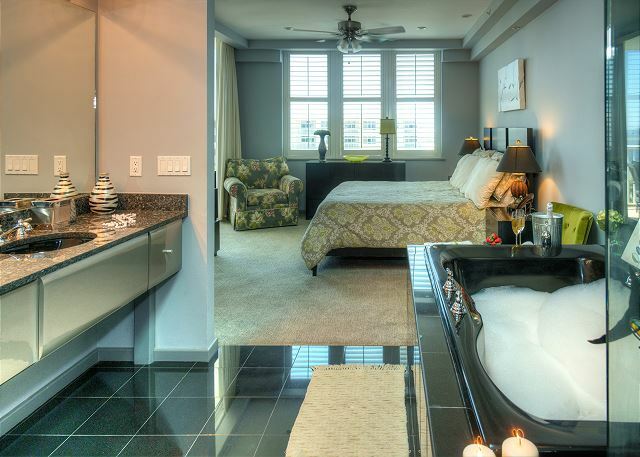 This luxurious penthouse condo has 3 bedrooms, 2 baths, with almost 1600 sq. ft. living and over 400 sq. ft. of patio space. 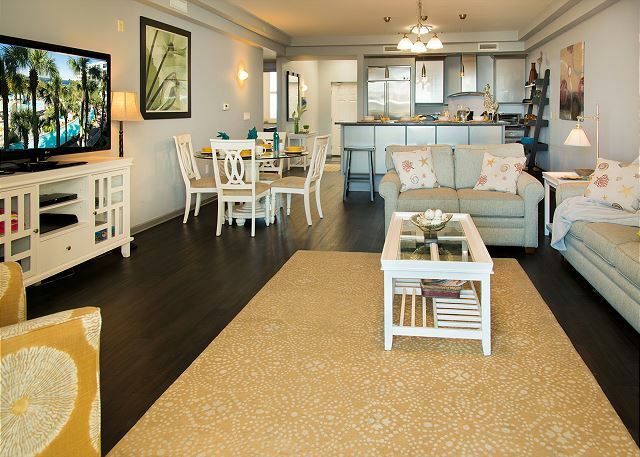 You can enjoy every square inch of this condo inside and out. The rooftop deck offers a private hot tub, lounge chairs for soaking up the sun, a bbq grill for entertaining or family meals, and a view that stretches for miles. The balcony below this deck is a perfect place out of the sun to watch the sail boats float across the bay. As if that’s not enough, we also provide a FREE boat slip with a weekly rental! 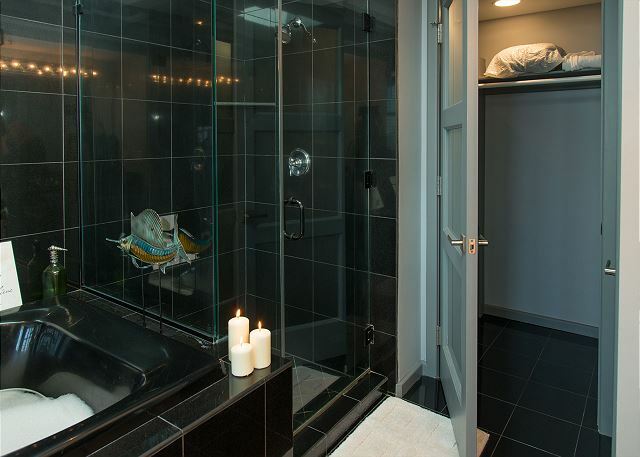 This stylish Master bedroom offers a king size bed, and opens to a spacious, romantic Master bath which features a Jacuzzi jetted tub and walk in closet. Guest bedrooms offer a very modern feel and comfortable queen size beds in each room. There is a sleeper sofa in the large and elegantly decorated living area which is the perfect place to relax and settle in with your favorite entertainment, whether it be board games or television. This sleek and streamlined kitchen features stainless steel appliances and offers everything possible, including coffee pot, blender, toaster oven, crock pot, etc. There is no reason to bring anything from home when staying in this unit! Free High Speed Internet with Wi-Fi for your laptops, iPod, iPods’, etc. 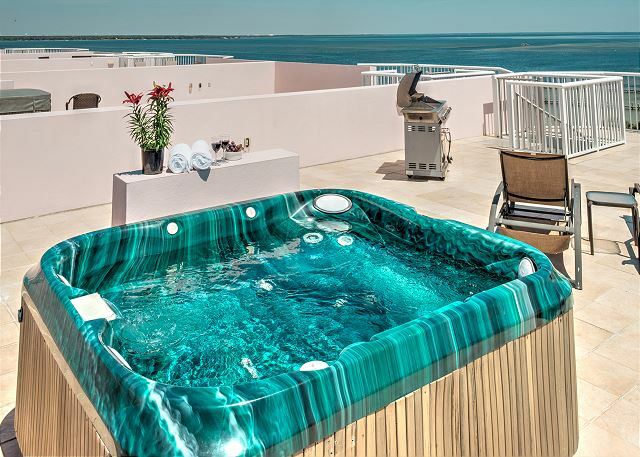 A private Jacuzzi hot tub is located on the roof where you can take in some of the loveliest sunsets the Island has to offer. 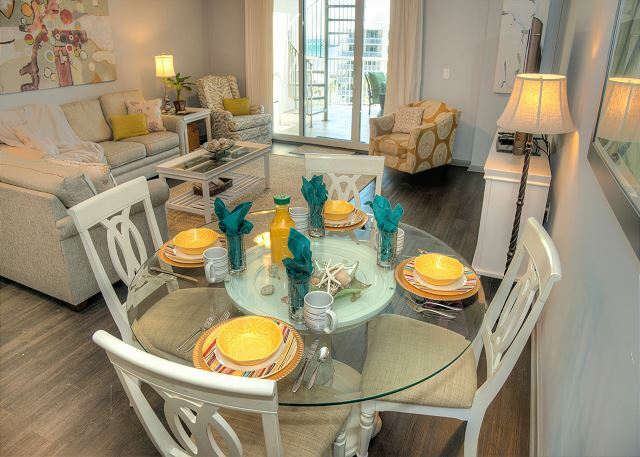 There are just too many great things to say about this condo! You will not be dissatisfied! It will hurt to say 'goodbye' after your stay. Nice condo. We enjoyed our stay. This is the second time we have stayed in the same condo. My only complaint is the master bed, way to soft. 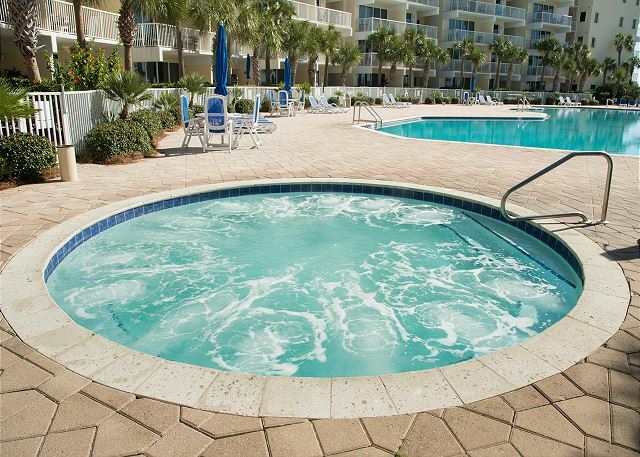 Great amenities, and very responsive management. 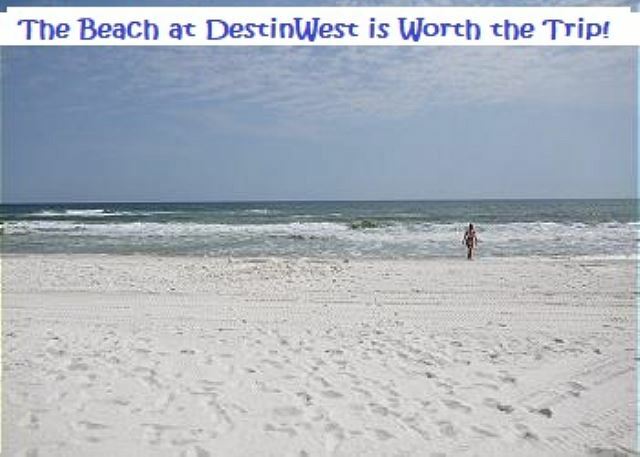 We enjoyed our stay and will return to Destin West next winter. Dear Mr. Orso, We love hearing from our guests and are so grateful you took the time to leave us such a great review! We'll be looking forward to your next stay with us! We had a great time. Can not say enough about the condo, resort and management. Jennifer was very helpful with things to do and even letting us in early. Julie and Robyn were great to work with. The resort was great. We went fishing with Josh and had a great fishing trip. This management company has a lot of everything. 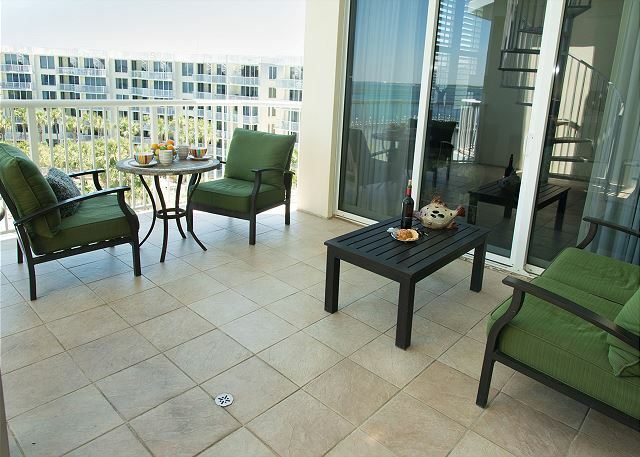 I highly recommend DestinWestCondos for your next vacation. Dear Ms. Hucavee, We're so grateful for this wonderful review! Thank you for taking the time to tell us about your stay! We love that you had a great vacation and will be standing by to help you plan your next trip! Dear Mr. Dixon, We love hearing that you enjoyed your vacation with us! Bayside is perfect for the Fisherman! We'll be here to help you plan your next trip whenever you're ready to come back! Beautiful location and working with Jennifer and her team is one of the reasons I keep coming back, they go out of their way to make you feel at home. Thank you so much for this wonderful review! We appreciate your feedback and love hearing praise! We cant wait to have you back! Dear Ms. Jinks Thank you so much for your praise! We're so glad to know that you enjoyed our beach services and that you were able to take in some beautiful sunsets from the rooftop of PH-08. I have to agree that the views from this unit are amazing. 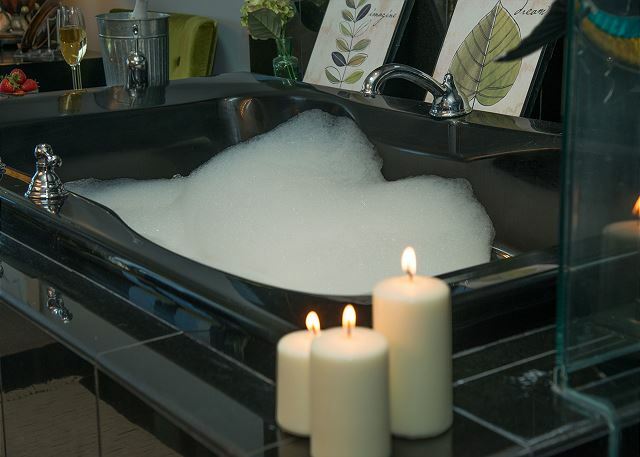 Please let us know when we can book your next visit! Definetly a step above the rest!!! amazing room. beautiful floors, professional kitchen, views were unbeatable. 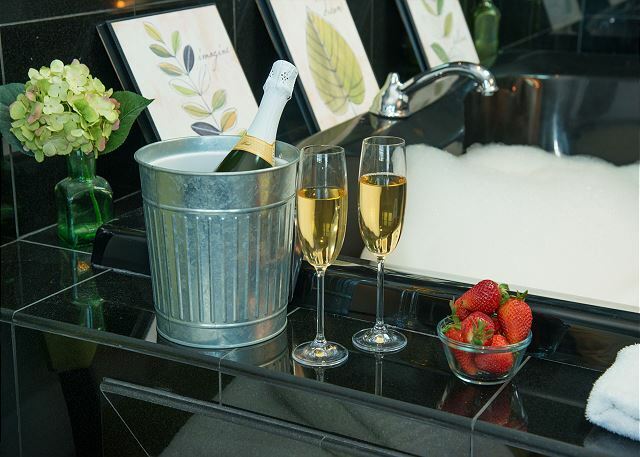 Dear Mr. Bourgeois, I'm so happy to hear that you've enjoyed your stay with us! Please let us know when we can be expecting your return! 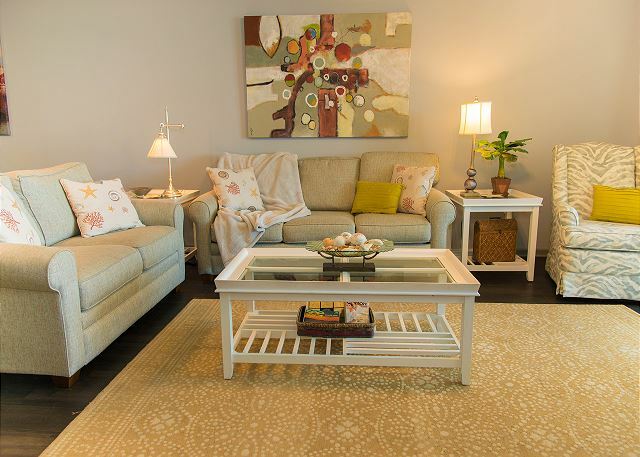 This condo was extremely clean and it has a cozy feeling upon arrival. The appliances are up to date and it looks very modern. Having a washer and dryer was a convenience. My family and I enjoyed our stay. The rooftop access with jacuzzi was a big hit as well. The lazy river was great for the entire family. We will definitely return and request this specific condo. Thank you, Delwanda, for your awesome review. We are looking forward to having you back soon. Stayed over 4th of July week. Could see multiple fireworks shows from the rooftop. Large rooftop area has hot tub and grill that were very nice. 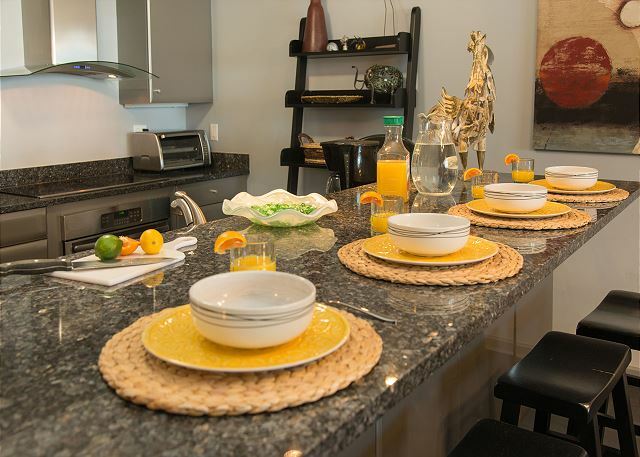 Condo is nicely equipped with most things that you need and in good shape. 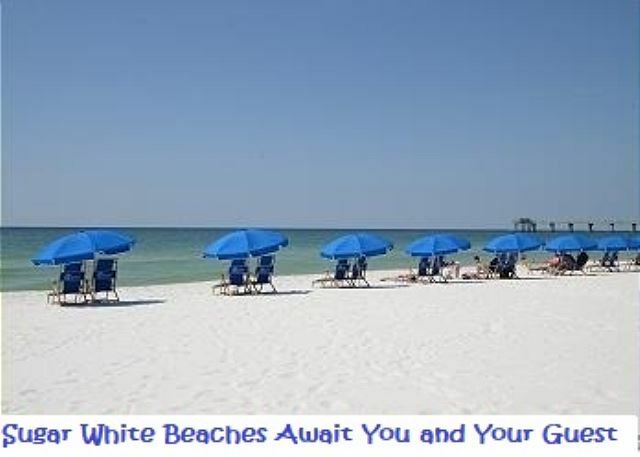 Lots of towels and owners provide lots of beach chairs, umbrellas and various beach toys that you can haul out to the beach in their provided wagons. Not quite as nice as having the beach service (available for $25-30/day) but saves money for other things. 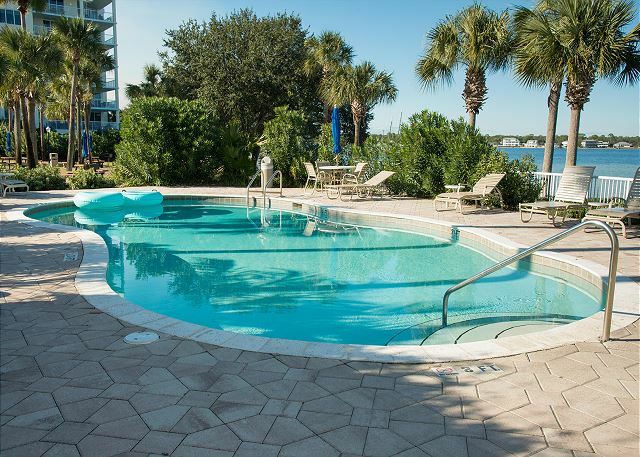 Resort is great with the lazy river, nice courtyard, bridge to the beach and access to the grotto at the Ramada next door. Don't have to deal with much Destin traffic. Overall wonderful experience. A couple of minor maintenance issues were called in but were not addressed, not a big deal. Amazing condo with beautiful view of lazy river! Loved it! Very clean updated and comfortable! Loved all of the different pools, favorite lazy river, easy access to the ocean, lots of water toys and wagons, walk every where! Great location, super-convenient, and we had a great time with friends and family! 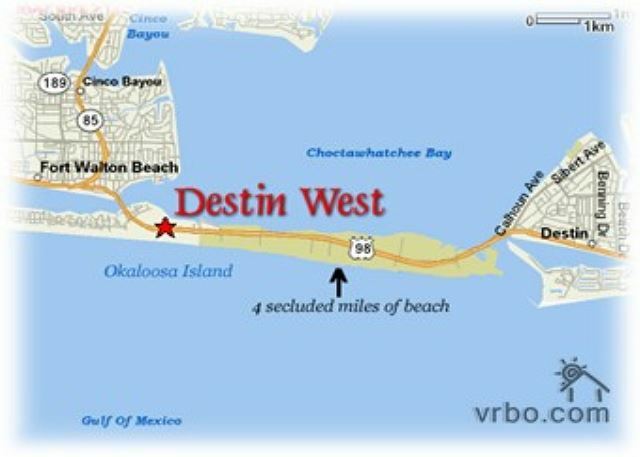 I stayed with Destin West for several months during a work related trip. The condo and my experience with the staff was absolutely top-notch. The fully furnished large open layout was extremely comfortable and felt like home. I had guests over and we enjoyed the roof patio and barbecue on several occasions. 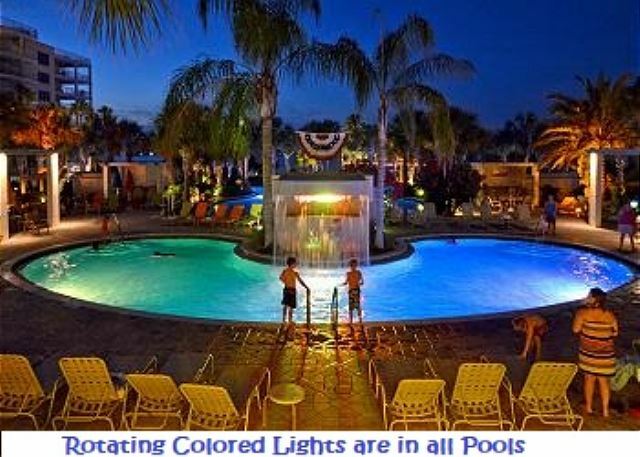 The lazy river, hot-tubs, and, multiple pools made the evenings fun and relaxing. The locations was perfect too. Close to Destin for daily outings and dining, but just far enough away that it didn't feel like you were in the middle of tourist territory. I can't recommend them enough!! Jason, thank you! We hope to see you and your group again soon! You have been a pleasure to work with. 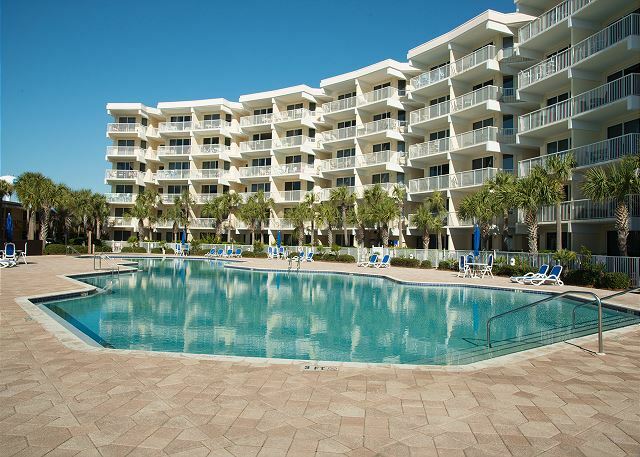 Our family rented three units at Destin West; two on the bay side and one on the beach side. By far, the penthouse was the biggest with the most amenities. I was hoping this was an end unit which had the best view of the bay, but we had a decent view of the bay and lazy river. We were able to fit fifteen people very comfortably for our Christmas reunion on Christmas Eve. Everyone had plenty of seating inside and outside. The hot tub was used on the roof at night, and the family loved it. 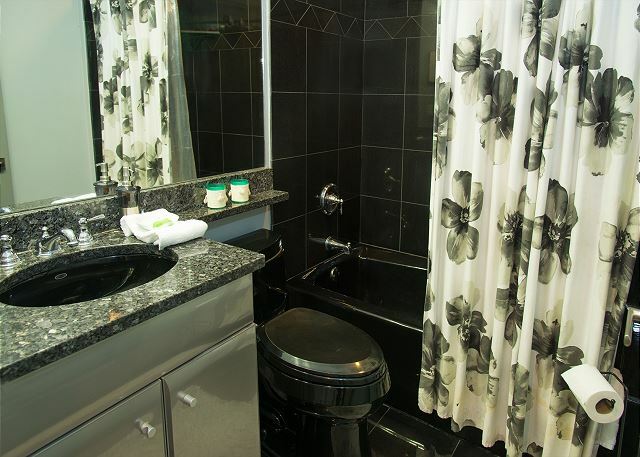 The master bedroom was very spacious, but I'm not a fan of black tile throughout the bathrooms. I did like the floors in the unit. The lighting was excellent in the entire unit. I would definitely recommend this unit for a family of five. Thank you for a great stay. Esther, thanks for the great review. We are so glad that you and your family enjoyed your stay at our condo and at the resort. Hopefully you will make this a yearly event. we look forward to having you as our guest again next year. The condo was amazing! The pictures didn't do it justice! 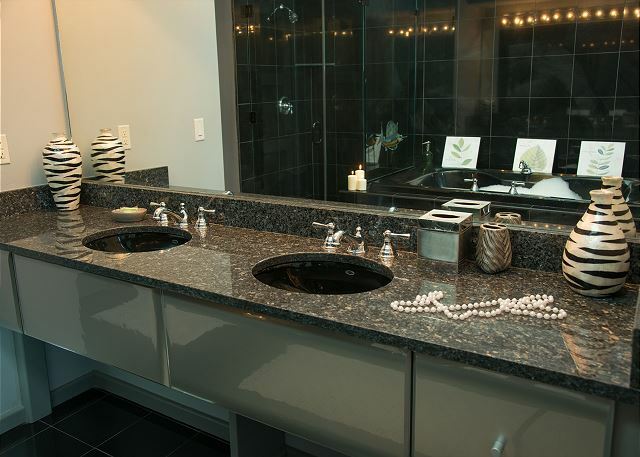 The master bathroom alone takes your breathe away! I am planning on staying here again in the future! This place was a dream come true!!! Owners amazing, entire experience amazing. Will definitely do this again!!! Connie you being happy makes us happy. We appreciate the review and look forward to having you as a guest in the future. We had a great time at Destin West. We try to make it every year. We really enjoyed this condo, especially the rooftop area. The condo was clean and well maintained. The roof access had an amazing view of the Bay and the Ocean. The property was well maintained and the pools offered a lot of entertainment for the family. We had 8 prink bands but only 7 blue bands were supplied when there was supposed to be 8. We made it work, however I sent an email to let the facility know and I didn't hear back anything.